Ladbrokes Casino went live on TV again recently featuring a £25 no deposit bonus! 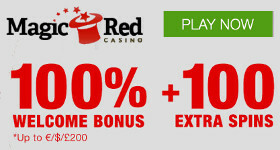 In conjuction with this offer, Ladbrokes Casino continues to run the instant 100% match welcome bonus up to £500, just like some free spin offers for second depositors, live dealer players and Friday depositors. To get started with your £25 free just register here and claim your bonus on the website. You will receive a confirmation email within 48 hours once your free chips are in your account and then you can instantly play your £25 free chips in the desktop or mobile casino. The promotion will end on Monday, 1st April 2013. Only new casino customers residing in UK, Singapore & Malaysia are able to qualify for this free chip offer. The €/£25 free play bonus will expire 48 hours after being credited. Optionally Ladbrokes Casino are giving all new players the chance to claim a real first deposit bonus instead as an introductory offer: a 100% instant match up to £500. An instant Bonus will only be credited to customers who are residing in the UK at their point of registration. To withdraw or transfer the bonus balance from the bonus account, the value of the bonus must be turned over 30 times in the casino. Customers residing in Singapore & Malaysia, Caribbean, Middle East and New Zealand will fall into the UK welcome bonus, but must claim for the welcome bonus and wait up to 48 hours for bonus funds to be credited. Customers residing in Bulgaria, Croatia, Cyprus, Finland, Norway, Czech Republic, Hungary, Portugal, Romania, Russia, Slovenia, Slovakia, Ghana, Mauritius, Nigeria and Tanzania are able to claim for the English welcome bonus and must claim for the bonus, but this will be subject to a 60x turnover requirement. For players who have not received an instant welcome bonus, the initial casino chip purchase must be turned over once before the claim form can be filled in. Once the wagering requirement has been achieved, and the claim form filled in, the welcome bonus will be entered into the players bonus account within 48 hours. Receive 40 free spins on Immortal Romance slot game when you make your 2nd deposit of £20 or more within 7 days of your first deposit (and turnover once), on top of the Welcome Bonus. So, you’ve had your welcome bonus and you still want more. Then simply make your second deposit of at least £20 into the casino wallet within 7 days of your first deposit. Turnover £20 or more at least once on any Casino game at Ladbrokes Casino. Your account will be credited with 40 free spins for use on Immortal Romance slot in our Download Casino within 48 hours and anything you win is all yours! This offer is only open to customers who have registered at Ladbrokes.com with English or Irish set as their preferred language. The free spins will be then paid within 48 hours and will be to the value of £24, made up of 40 spins, played with 1 coins to the value of 0.02p, across 30 pay lines. Each spin will be to the value of 0.60p. Any unused spins will expire 7 days after they have been credited. Your winnings from your free spins will be credited to your bonus balance where x30 turnover requirements apply. To get your 100% Match Bonus up to £20 simply head down to the Live Casino every Monday, deposit £20 or more and play either Roulette or Blackjack. (40 times turnover requirement). Don’t forget to fill in the claim form first! This promotion will run every Monday until the 25th of March 2013. Deposit £20 or more on Fridays and Ladbrokes Casino will instantly give you 20 free spins on Immortal Romance. The promotion will run every Friday between 00.00 and 23.59 GMT until 27th March 2013. The free spins will be to the value of £6.00, amounting to 20 spins. Each spin will be to the value of £0.30. Turnover requirements apply to any winnings at x30.